When asked to name a key Nintendo franchise, most people's first thoughts would likely turn to Super Mario, The Legend of Zelda and Metroid. However, over the years Nintendo has consistently made games with Yoshi as the star. These titles have fleshed-out Nintendo's release schedule nicely across various console generations, sometimes taking the form of puzzle games but more often than not coming in the form of 2D platformers. Yoshi (formally known as T. Yoshisaur Munchakoopas) had humble beginnings, of course, debuting in Super Mario World on the Super Nintendo way back in 1990. It wasn't the best start for Yoshi as that utter brute Mario would punch him in the back of the head to command him to eat enemies who got in the way. It's been well documented that Shigeru Miyamoto always wanted to give Mario a dinosaur chum, but it just wasn't possible during the NES era due to technical limitations. Yoshi has of course gone on to be a stable in Nintendo games ever since Super Mario World, with appearances in spin-off games such as Mario Kart, Mario Party, Super Smash Bros. and the many Mario sports games over the years. 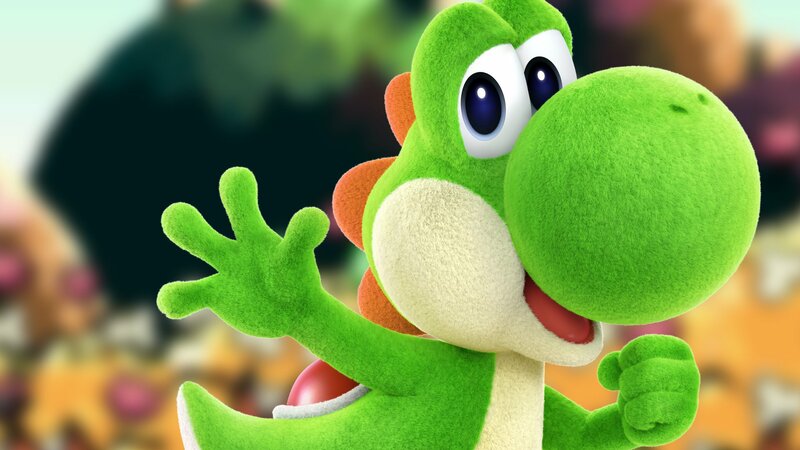 He also played a big role in Super Mario Sunshine on the GameCube and Super Mario Galaxy 2 on the Wii of course, but this cheeky dino has established himself as the star in many games of his own. In the early '90s, the world just couldn't get enough of Tetris, and many other falling-block games would follow such as Sega's Columns and Dr. Mario. Long before Pokémon was a twinkle in Game Freak's eye, they started work on their very own puzzler for the NES and the Game Boy, which would go on to be published by Nintendo as 'Yosshī no Tamago' (Yoshi's Egg) in Japan just in time for Christmas 1991. North America and Europe would see a release of the game the following year under the moniker Yoshi in the US and Mario & Yoshi in Europe. Unfortunately for Yoshi's first starring role, Mario does the heavy lifting in this game as you control him positioning the stacks of tiles with enemies from the Mario universe, which Yoshi watches helplessly on the right-hand side of the screen keeping score. Matching two tiles vertically causes them to disappear and earn you points. Following an inauspicious solo debut, Yoshi returned in 1993 with another tile-matching game, this time developed by Bullet-Proof Software, who was, of course, responsible for the game-changing port of Tetris which helped sell so many Game Boy systems. Yoshi's Cookie started life as a puzzler called Hermetica by game designer David Nolte. Nintendo was naturally keen to work with Bullet-Proof software again, and the game would get a Yoshi-themed makeover and see a release on the NES, Game Boy and even the Super Nintendo. In yet another slap in the face to the long-suffering dinosaur, it would again be Mario in control in this game as a demented baker producing cookies of various different designs. The idea of the game is to mix and match the cookies so that a row of cookies with the same design is formed, thus clearing them from the playing field. 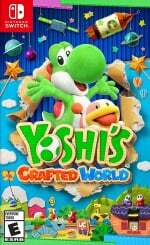 A peripheral type of cookie shaped like Yoshi's head pops up very occasionally and allows the player to clear lines of any mixed assortment of cookies. Yoshi would be wheeled out once again in 1993, this time to prop up a game for the ill-fated Super Scope lightgun peripheral for the Super Nintendo. Despite Yoshi taking top-billing in the title, that naughty Mario is in control again, riding on Yoshi's back. As the game takes a first-person perspective, players only see Yoshi's head bobbing about during gameplay, so that's a step up in the world, at least. Developed by Nintendo R&D1, this light gun game was praised by critics of its day, made good use of Mode 7 effects and had some fun boss fights with the Koopa Kids. Unfortunately, the game was a bit of a commercial failure, which sealed the fate of the Super Scope accessory. Despite having a bit of a shaky start as a franchise character, Yoshi would go on to get the respect he deserves in Super Mario World 2: Yoshi's Island for the Super Nintendo in 1995. The Yoshi clan was very much in the driving seat of this game, tasked with escorting a helpless Baby Mario safely through many strange worlds. In this game, Yoshi sports a cheeky flutter jump and can also lay eggs and target them at enemies. Sure, why not? Yoshi can also transform into vehicles such as a train or a helicopter in certain sections. While it was no pushover, this game was made more accessible than the original Super Mario World as Yoshi could take any number of hits. Rather than offering a health bar like other platformers of its day, when Yoshi took damage, Baby Mario would float away in a bubble while a timer ticked down. You'd need to be quick to retrieve Baby Mario before he gets kidnapped and you lose a life. This was 16-bit platforming at its very best, and it received rave reviews at the time. It is said to have shifted around 4 million copies after release, with its unique graphical style and Super FX 2 chip-powered sprite scaling techniques. Finally, Yoshi had hit the big time. Known as Yoshi's Island 64 in the early stages of its development, this entry into the Yoshi canon struggled to live up to the high standard of the Super Nintendo game before it. The platforming action in Yoshi's Story takes place within a pop-up storybook and has an interesting visual style, with pre-rendered 3D graphics used to craft worlds made from materials such as wood, fabrics and cardboard. 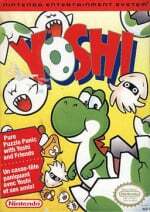 This game was a bit of a turning point for the character of Yoshi – no longer would he talk and hold conversations with other characters. The Yoshi clan would make unintelligible noises from this point onwards. It's probably best not to dwell on the Yoshi singing too much here, either. Critics of the day complained that the game was way too short, lacking in challenge and dull. Also known as Yoshi's Universal Gravitation in Europe, this was quite a unique game for the Game Boy Advance as the game’s cartridge contained a built-in tilt sensor (previously used in WarioWare Twisted!) to add motion controls to the game. This platforming adventure has a similar look to Yoshi’s Story on the N64. 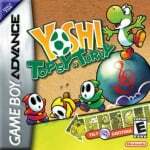 The added dimension of tilting the GBA to rotate the environment around Yoshi to do things like run up walls, swing pendulums and leap large holes in the floor didn't do much to win over reviewers of the day. It was thought to be repetitive and disappointingly short. Poor Yoshi; he just can't seem to catch a break. Yoshi Touch & Go was a launch title for the Nintendo DS. This game was very much a bite-sized score attack game which some people at the time thought of as little more than a tech demo for the DS’ touchscreen capabilities. In the first section of the game, the player would draw lines of clouds to guide Baby Mario safely past spikes and baddies. The second part takes place as a side-scrolling platformer where Yoshi escorts baby Mario to safety. The dinosaur walks automatically, and the player can tap him to make him jump and hold to hover. You can also draw cloud lines to use as platforms and target enemies with eggs. While some reviewers did question its value as a full-priced title, it was generally thought to be a fun score attack game which utilised the DS touchscreen well. The outcry of Nintendo fans demanding a true sequel to Yoshi's Island on the Super NES was finally heard. In Yoshi's Island for the Nintendo DS, developer Artoon crafted a game which was certainly better received than the previous efforts. The core gameplay was similar to Yoshi’s Island, but this time in addition to Baby Mario, Yoshi can also have the combined assistance of Baby Princess Peach, Baby Donkey Kong, Baby Wario and even Baby Bowser. Each character has different abilities which need to be used to progress in the game. Artoon created a visual style which retained the pastel and crayon nature of the original. On the whole, this entry into the Yoshi canon was quite well received, despite some issues aiming eggs due to the blind spot between the DS' dual screens. Having had an eight-year wait for another Yoshi game, expectations were quite high for Yoshi's New Island, which was developed by Arzest on behalf of Nintendo. While it looked quite lovely, we found in our review that the biggest problem was that it felt stripped of the style, substance, and ingenuity that once made the series so treasured by fans. The game design felt watered down somewhat and failed to incorporate new ideas to enhance the established mechanics in any meaningful way. Not necessarily bad, then, just dull and unimpressive. After the lacklustre 3DS outing for Yoshi, it was a pleasant surprise to behold Yoshi's Woolly World on the Wii U in 2015. Developer Good-Feel delivered some accomplished platforming within Yoshi's quirky and unique template. We felt in our 9/10 review that the game had enough soft cuteness to charm young gamers and melt the hearts of the most jaded of veterans. Along with some of Nintendo's best co-op platforming, tough collectable challenges and some neat but straightforward use of amiibo, it delivered where it mattered the most with clever, witty stage design. 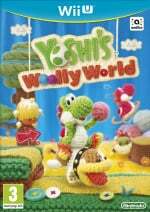 A downgraded port of the game was made to the 3DS in 2017 under the title Poochy & Yoshi's Woolly World. It's certainly worth picking up if your Wii U has now been confined to the loft. Developer Good-Feel is back soon with Yoshi's Crafted World which launches on the Switch later this month. If you thought Yoshi's Woolly World was cute, then you ain't seen nothing yet. Ditching the yarn look for a cardboard craft style, this is certainly one great looking game. All in all, Yoshi’s Crafted World looks like it’s shaping up to be a fine game indeed. The new mechanics are fun and add a bit of a new spin on things, the aesthetic is wonderful, and while all of it doesn’t amount to anything revolutionary, it’s still very entertaining, and there looks to be plenty for fans of the series to enjoy. While you wait for our review, you can check out our hands-on preview with Yoshi's Crafted World, which will hopefully give you an idea if this is the game for you. What's your favourite Yoshi game from this rich history? Are you excited about the upcoming release of Yoshi's Crafted World? Be sure to share your thoughts with a comment below. Can never have too much Yoshi. If you are going to talk about Yoshi and Yoshi's Cookie, why not talk about Tetris Attack on SNES? Yes, it has Tetris in the name, but it has Yoshi's face ALL OVER IT! It even "takes place" on Yoshi Island. I've always known him more for his appearances in Mario games than his own games. Without fail, there was always an argument about who got to be Yoshi when we played Mario Kart/Party. Oooh like the green theme!! I'd be grateful if Artoon/Arzest never touched another Yoshi game. Thankfully we have Good-Feel doing good work still. Nintendo has gotten flack sometimes for appealing to younger audiences, but Yoshi’s Island was perfect for me when I was 8. Probably the first experience I had of a ‘relaxing’ game after the challenging SM64. The SNES entry is still tops though, I would purchase it instantly if it was ported to the Switch. Yoshi’s Island on SNES is an all time favourite and I absolutely adored Woolly World on Wii U. I HOPE Crafted World lives up to that! Yoshi's Story has been my favorite. The music, the charm of the storybook presentation, the little marching while idling. I am looking forward to this Friday. Yoshi's Island and Woolly World are the best ones, in my opinion. I really hope Crafted isn't boring. I've never played a Yoshi game before but I have the new one on order and I'm very much looking forward to it. @PBandSmelly It's not out yet, you're going to have to wait for their review. The comes comes out this Friday. For me it does look promising. I do love Yoshi games. Puzzlers, platformers, score attackers, whatever, I can enjoy any of them (even if I'm not always that good at them, particularly the puzzlers). But of course I'm not so blind that I can enjoy a Yoshi game when it's just an outright bad game. This was particularly the case with Yoshi Topsy-Turvy and Yoshi's New Island for me. The former had the issue where the motion controls felt incredibly stiff, unlike what WarioWare showed. It just felt awkward, clunky, and not very fun. And I had really wanted to get my hands on it too. And when I did, I was left disappointed. Then there's Yoshi's New Island, this game was even worse. The visuals were pretty bad (if you ask me), the controls didn't feel quite right, the music was absolutely ATROCIOUS, and I still have nightmares from this title. This game, I feel, is the only one that just does not deserve to carry the Yoshi brand. Thankfully I do have plenty of good memories from the Yoshi series as well though. My first game was Super Mario World (well, through the Super Mario All-Stars + Super Mario World cartridge), and I already did quite like Yoshi back then. Not as much as I would years later though. Heck, when the original SMW2: Yoshi's Island came out, I thought that game even looked way too childish for me to play. Even though I was a kid. A stupid kid. When I did eventually play Yoshi's Island, I did love it a ton, and I started to love Yoshi a whole lot more from that moment on. He wouldn't be my favourite character yet, I think Toad was at this point in time (which would later be overtaken by Pikachu when Pokémon came around), but Yoshi's Island certainly made its splash with me. While I didn't get Yoshi's Story until much later for myself, I did play this game a fair bit on someone elses N64 at the time. It was an alright game. But it was the spin-offs mostly that made me like Yoshi more still during the N64 era. In Smash Bros, I mostly played as Pikachu at the time, but this would shift to Yoshi by the time Melee came out. 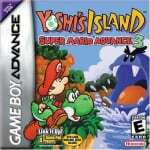 When Yoshi's Island DS came out, I was really happy to finally get that much-desired true sequel to Yoshi's Island. I got it immediately and, while it definitely wasn't as good as the original, it was still really fun. Looking back, I can't believe this game was made by the same people that made Topsy Turvy and New Island. This was the only actually good Yoshi game that they made, as far as I'm concerned. After the drama that was New Island though, I was so incredibly happy when I did finally get my hands on Yoshi's Woolly World. This game was so incredibly good, to me it felt like a love letter to Yoshi fans. It wasn't quite as good as the original Yoshi's Island still, largely due to the fact that this game had rather lacking boss battles, but overall this game was handled with so much love and care, from aesthetics, to gameplay, to the music, and it's become one of my top favourite games of all time. I'm also really incredibly excited to finally get Yoshi's Crafted World as well. I've been able to avoid spoilers for the most part, because Woolly World was sadly spoiled a bit too much for me, so I wanted to really avoid that with Crafted World. And still want to. And I'm so close. It's almost here, and I can't wait. I'm going to be playing this game all weekend most likely. Overall, despite the rough patches and long droughts, I'm relatively happy with how the Yoshi series has gone over the years. And I do hope that Nintendo will keep building on this list and keep Yoshi a healthy franchise. ..by the way, no mention of Tetris Attack? I know it's not a Yoshi title in Japan, but I still think it'd at least be worth a mention. Always been a huge Yoshi fan myself, even though some of the games were a bit naff in the past. But I played the Crafted World demo not to long ago, and it seemed promising in my opinion. Can't wait to buy it on release. @NintendoFan4Lyf I came to make the exact same comment. How dare they leave out Tetris Attack? I played the crap out of that game as a child. It was the only game my mom would play with me. Hell, we STILL play it when I visit her. I grabbed Poochy and Yoshi's Woolly World for $2.00 from my local Wal-Mart's bargain bin a couple months back. Had no interest in it before but who could pass on it at that price? Now I have crafted world on pre order. I love Yoshi. Some of the games are too easy or too repetitive/boring. Yoshi's Story gets some flack but I love that game. Hopefully some day we get a 3D Yoshi game for the same reasons that #AlohaPizzaJack depicts. Crafted world looks great after the great wooly world. Yoshi has huge potential that hasn't been reached yet. @NintendoFan4Lyf And it's more fun than either of those titles. Lovely game! @dekamaster2 I’ll remember that rule the next time a list of Mario games pop up and they have Super Mario Bros 2 (non-japan version) on it. @MJInnocent ... why? I’m scared. Yoshi's Story N64 - most underrated game ever! Sooooooo... when's the embargo up? I'm eager to see the Crafted World reviews. Wasn't impressed with Crafted World demo. Gameplay seemed slow and ponderous. @dekamaster2 By that logic, Super Mario Bros. 2 isn't a Super Mario Bros. game because it didn't start out that way either! @NintendoFan4Lyf Because it was a reskin of a different game. Certainly in America and especially at the time, the original characters would not have sold well so Nintendo needed to replace them. Releasing a game with an all fairy cast would have been seen as a game for either little girls or as a euphemism for homosexuality, again certainly by '90s American standards. I never realised there were so many Yoshi games. The best is obviously Yoshi's Island, which is one of the few games I've 100% completed. Yoshi's Island on DS was good, while Yoshi's New Island is a game I don't remember much as it was a discount purchase much later on and I only played a few levels. I similarly got Woolly World on 3DS for dirt cheap (not yet played), and played the Crafted World demo. I'll wait to pick up that game as I've so many others to play. 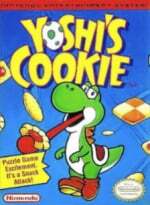 Yoshi's Cookie I swear was a SNES game. Anyway, it was one I hired and was fun enough. Touch & Go was one I always planned to buy once it dropped in price significantly. By the time it did, if it ever did, I never saw it anywhere and promptly forgot about it. I would include Super Mario World as a Yoshi game. Just because Yoshi isn't in the title doesn't matter. He had a major role in the game! Tetris Attack (SNES) is definately a Yoshi game that is missing from that list. Honorable mention: Yoshi's Fruit Cart from Nintendo Land (Wii U). I enjoyed it. Also thumbs up for Yoshi being a playable character in every Mario Kart, Super Smash Bros., Mario Party, and Mario sports game. I personally can't wait for Yoshi's Crafted World (one of my top 3 games this year). I enjoyed the demo (it was way too short though). Yoshi's Woolly World on Wii U was fantastic. Yoshi's Story is faaaar from a short game. If you only play one level from each of the 6 worlds and say "okay I beat it", you're missing over half the game. Finding those hearts and actually beating all 24 stages took quite some time for me. Yoshi fits right in with Kirby as a character in a 2nd tier series of games that neatly supports top tier 1st party Nintendo games. Love the Yoshi games as much as the Kirby titles, so this was a purchase. I had never believed Yoshi was being punched by Mario in Super Mario World. @NintendoFan4Lyf I've seen some people argue whether SMB2 (USA) could have been intended as a Mario game even before Doki Doki Panic. Though I suppose that could be due to a couple similar power-ups, such as the Star (which appeared in DDP) and the shell (which still functioned the same even as its original design as a mask). "Developed by Nintendo R&D1, this light gun game was praised by critics of its day"
I thought it was considered to be very bad? "While it looked quite lovely"
I thought I was the only one who found it okay looking (yoshi's new island), while everyone else thought it looked ugly?